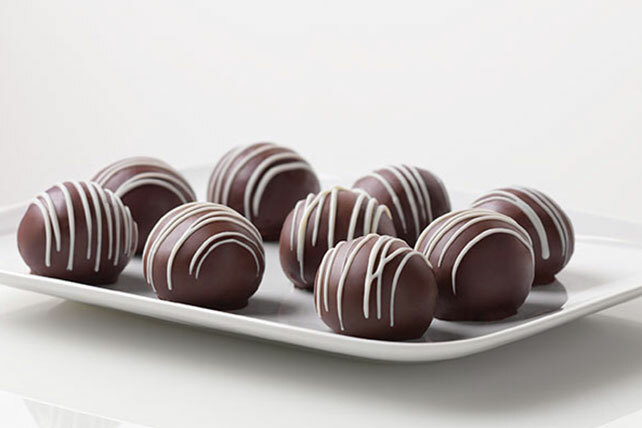 Crushed cookies, chocolate pudding and melted dipping chocolate give these cookie balls their triple-chocolatey goodness. Bonus how-to video included! Thank you. We heard your feedback and rewrote the recipe to clarify the directions. Please follow this updated recipe and handy tips. Thank you for your input. Use a food processor to finely crush the OREO Cookies, then use a mini scoop to portion the cookie dough to make uniformly sized cookie balls.